Hey Bob, I thought about titling this post to you. I thought you might want to know. At first, I toyed with Dear Bob or Dear Director Abbey or something that would speak directly from one interested stakeholder to your ears, but as you can see decided against such a simple framing for the massive subject I wanted to tackle. See Bob, I’ve been a little busy examining your Program statistics again, combing through BLMs FY2011 Budget Justification report to Congress and making a few graphs of my own. I spent a month working with some great gals, Carla Bowers and Leslie Peeples, in trying to figure out ways to summarize one, giant oozing festering mess – something BLM and their support team are markedly proficient in coating with Teflon©. It’s an alternative perspective on the Wild Horse & Burro Program that uses almost exclusively the BLMs own publications and numbers to make its case to Congress about why you need to be cut off from any more money until some real answers are coughed up or you are allowed to peddle your sugar coated solutions based on a foundation of non-credible data and lies. If you haven’t already seen it, you can check the "Report to Congress: Refuting FY2011 Budget Justifications and Request to Defund Roundups and Removals Through Appropriations For FY2011 and FY2012" here. So as you might imagine Bob, I was a little busy when Sue Wallis & Co.’s Slaughter Summit agenda came out announcing you and other key BLM personnel and associates were invited guest speakers. I also wasn’t able to pay too much attention to your national public response now posted on the front page of BLMs website explaining why you have tentatively accepted the invitation because you are so “fair and balanced” as to meet with such diverse stakeholders – that now include a high dollar conference comprised of the Who's Who of the horse slaughter industry. After all, while BLM will post every letter of support, agreement and enthusiastic applause for BLMs actions by any group or agency who often has glaringly apparent conflicts-of-interest with wild horses and burros on public lands, “our” public website stays curiously silent, some would say almost censored, of any voice, argument or document that challenges or refutes what the BLM does. Which reminds me, will the BLM be posting our report on the Wild Horse & Burro website too so everyone can see what some of the "other" issues are because you are so “fair and balanced” towards all diverse stakeholders? So now I've finally made a little time to see what you’ve been up to and I’ve have a few questions for you Director Abbey. A few weeks ago, I sent an email to you and a whole list of key BLM employees expressing my concerns about a BLM Press Release for the Callaghan/New Pass/Ravenswood roundup. "NDOA brand inspectors must verify the animals are wild horses and burros as defined by the Wild Free-Roaming Horses and Burros Act of 1971. 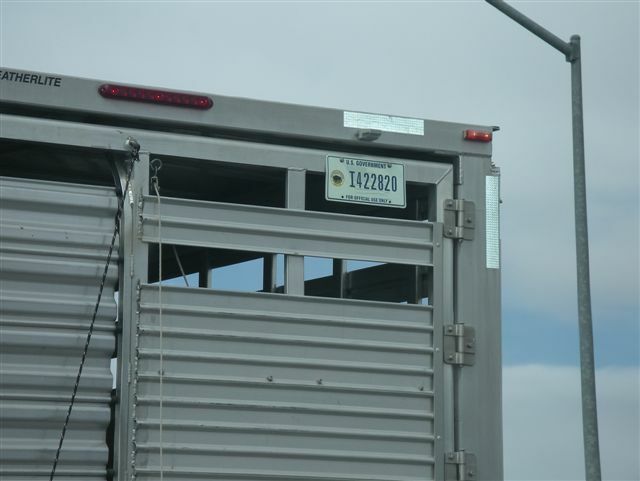 Once verified, the brand inspector will provide the BLM a certificate to transport the animals". See, this is kind of a problem because it’s deceptive and reminiscent of one of the oldest tricks in BLMs sending-wild-horses-to-slaughter books. You remember, how BLM had been conspiring with state agriculture agency's or turning their heads so brand inspectors could send tens of thousands of wild horses to meat packing plants by citing state jurisdiction over federal law during the first years after the passage of the Wild Free-Roaming Horse and Burro Act? You do remember that, don’t you? It’s in your own statistics. How almost 70,000 horses counted as roaming free on the range were “privately claimed” between 1971 and 1980. You know, those “non-wild” horses who were carted off to slaughter due to new found private status, thanks to state brand inspectors working in “close coordination” with BLM personnel. So, I’m sure you remember this as well, how a big legal battle developed and the courts had to decide who was actually responsible for making the determination of what qualified as a wild horse/burro. And the courts said it was you Bob, the authorized agent of the Secretary, who had jurisdiction and ultimate responsibility to make that determination. If the state brand inspectors couldn’t verify the animals were privately owned, they fit the definition of a wild free-roaming horse and burro and were entitled to protection under federal law. Remember, I sent you those links to the federal court cases, American Horse Protection Institute v. US DOI (1977) and Sheridan v. Andrus (1979) that clearly outlined how state agriculture agencies jurisdiction only extended to verifying animals did not have brands, bills of sale or sufficient evidence to establish private ownership. See, it appears that BLM and Nevada Department of Agriculture (NDoA) recently pulled this jurisdictional shell game last June with respect to the Toana “wild” a.k.a. the Pilot Valley “feral/estray” horses as each agency batted the ball back and forth until a “compromise” was reached. Finally, NDoA “verified” for BLM how those horses were not “wild” in the most suspicious manner possible in order to sell them at state livestock auction - but I’ll explain how that happened a little later in this post. Well anyway Bob, you didn’t bother to reply, much less address my concerns. In fact, neither did BLM Wild Horse and Burro Chief Don Glenn, BLM Nevada State Director Ron Wenker, Nevada Wild Horse and Burro Lead Alan Shepherd or Tony Lesperance of Nevada Department of Agriculture. However, I did get a phone call from the local field office promising to get back with me about my concerns but we ended up playing phone tag for so long that BLM re-issued the same statement again in the Clan Alpine round up press release; I guess I should consider that BLMs response. After all, BLM needs NDoA to issue a certificate of transport, right? Except I can find no such authority in the Nevada Revised Statutes (NRS) requiring BLM to verify the status of a wild horse/burro with NDoA or needing NDoA to issue BLM a certificate to transport them. Given the historical abuses that have occured with state brand inspectors and how Congressional testimony during the passage of the Act clearly expressed grave concern about the lax and sometimes conflicted interest states had with respect to the livestock industry, I find it curious that neither you nor your authorized agents charged with protecting wild horses and burros nor NDoA itself didn’t feel this was important enough to respond to, couldn't be bothered to provide the NRS provisions supporting your newest press release statements about NDoA's power, or didn't feel the need to share any cooperative agreements granting NDoA this sort of jurisdiction over federally protected animals. Which leads me to the Slaughter Summit you will be speaking at - but I have to confess, I’m kind of confused. See, I thought the BLM was charged with protecting wild horses and burros from that kind of crowd, commercial exploitation and all. It’s all the BLM ever says, “We don’t sell horses for slaughter”, so I’m a little confused why there’s a veritable cornucopia of BLM’ers listed on the Horse Slaughter Industry’s Summit agenda. By the way Bob, you do know that American horsemeat is tainted and dangerous for human consumption but these people promote their own pocketbook at the expense of those who eat it anyway, don’t you? Could it be that is why you think the BLM and the horse slaughter industry is a perfect match? Do you think Sue & Co might be interested in acquiring mustang meat free of the drugs given to domestic equine? Tell me something, Bob. Before you decided to tentatively accept an invitation to Ms. Wallis’s shindig, did you ask her why she came out of nowhere and has made the commercial exploitation and slaughter of wild horses one of her number one goals in all she publishes, says and does? So this leads me to my next question. When BLM conducted the free and public forum in Denver last summer to discuss “management solutions”, Sue was there and never missed an opportunity to bring up wild horse slaughter as a humane and fiscally responsible alternative to BLMs primary management tool of roundups and removals. Except in the public forum, BLM’s MC poo-pooed Ms. Wallis and told her this kind of solution was neither appropriate nor on the table for discussion (pardon my pun). Yet here we sit just six months later and while you couldn't bother to make a guest appearance at the "free" public dog and pony show packed with "diverse stakeholders" interested in the Wild Horse & Burro Program, now Bob, you are going to personally speak at Sue’s Slaughter Summit. What’s that about? So what makes her and her cohorts so special and above the public arena? The privacy from prying public eyes? The fact that what you say will be "off the record"? Are you getting a fee for your attendance on top of your taxpayer funded salary that legitimizes your "expertise"? Or is this highly controversial and clear conflict of interest sales pitch going to allow you to meet "key" contacts over salsa in order to coordinate better with Secretary Salazar's "new direction"? If I attend a public forum on discussing wild horse and burro management, BLM will tell those trying to bring horse slaughter to the table that it's not appropriate and will not be allowed. But if I want to be part of the Slaughter Summit to hear what you have to say, to hear what other BLM and BLM affiliates recommend, I’m going to have to cough up $300-400.00 dollars to hear a discussion that BLM refused to allow in the “public arena” nor did you feel was worthy enough to attend. And after I write my check to United Horseman in order to attend your presentation, it will be deposited in an account that will be used for the lobbying and promotion of commercial exploitation and slaughter of wild horses and burros. So tell me Bob, how is the presence of BLM employees and affiliates as public representatives not considered indirectly contributing money for the promotion of commercial exploitation and slaughter of wild horses and burros or a serious breach of the public trust? Which leads me to my next line of questioning. I have heard BLM say that if advocates have evidence of BLM selling horses for slaughter, come forward with the proof. With no access to long term holding facilities, limited access to short term facilities, armed guard access to roundups, humane observers limited to a handful at a time on hand picked days, closely guarded or set back at a half a mile or more away, (by the way Bob, what are we spending to protect you from us and our camera’s these last few years – I couldn’t find that in the budget info), blanket closure of public lands, refusal to disclose gather locations in advance, and discussions in the 2008 Team Conference Calls about how to block access by the media, the citizenry and Congress through secret locations and sealing the deal by justifying such secrecy from those attempting to ascertain the whereabouts of horses and burros by labeling them potential eco-terrorists, with all that going for you Bob, when exactly do you think the public will be able to “get proof” from behind the BLM’s Iron Curtain? One a side note, this also leads me to ponder; Bob, are you and other BLM personnel and affiliates worried about your safety at the Slaughter Summit? After all, there will definitely be people in attendance who do not support the BLM’s “humane treatment “ of wild horses and burros via non-slaughter, do not believe wild horses and burros have any place as integral components of the public lands and who feel the BLM is failing to be fiscally responsible. Will you and other BLM affiliates be shadowed by armed escorts to protect you from them like the BLM does to the general citizenry who advocate for lawful, transparent and humane treatment of wild horses and burros? But back to that “proof” thing of the BLM selling wild horses for slaughter. Let me start by saying, as soon as the BLM starts letting advocates follow the wild horses and burros from the roundup pens through transport and from short term to long term holding, maybe we will have a chance. But then again, the BLM seems pretty adamant about not letting the public in to anything but the most carefully controlled slices of “management” they have yet to privatize and even much of that, advocates are having to fight tooth and nail to get. Since you called advocates out on the issue of proving the BLMs selling wild horses to slaughter, I have to confess - you are right. I don’t have photos from start to finish showing BLM gathering horses, transporting or selling them to killer buyers with follow up shots of killer buyers transporting them and making the trek to Mexico or Canada with their carcasses finally hanging from a meat hook. Is that the kind of proof you mean, Bob? But here are some interesting tidbits I have been pondering for a while that may have relevance and maybe you can provide some answers to. First, check out these photos. These were taken last spring on Highway 395 through Carson City to Reno. They are official BLM horse haulers and the advocate that spotted them was surprised to see BLM suddenly in the horse hauling business with such brand new, shiny trucks. So we submitted a Freedom of Information Act (FOIA) to try and find out when they were purchased, how much BLM spent, and where they were headed too. And guess what Bob? The FOIA came back with “no records found”. Yep, that’s right, they couldn’t find any records of BLM purchasing these shiny new trucks. Actually, that’s not totally correct as the FOIA did add they were able to confirm the purchase of trailers (not the trucks) were made through the Eagle Lake office in Susanville, CA and if we wanted the info, we’d have to resubmit the FOIA to them. Go ahead and check out the FOIA response HERE. While the FOIA response wouldn’t provide any significant info on the BLMs purchases, if you look closely, you’ll find they were able to provide a little info on the Model# of the horse trailer, which just happened to be brand spanking new in 2008. Hey, Bob, wasn’t that the year the BLM announced they had such a money crisis that they were now considering euthanizing all our stockpiled wild horses? But ya got enough money to buy brand new shiny horse trailers and semi-trucks? Wow, who knew…. I also wanted to bring your attention to something else that provoked a great deal of curiousity for me about that FOIA response saying the trailers were purchased by the BLM in Susanville, CA. See, if you look at this website's advertisement for Featherlite trailers, it says in bold letters that there are no Featherlite dealers in California. So, wouldn't that mean BLM had to purchase them outside of CA? So why did the FOIA response say the purchase records are being kept in CA even though they had to have been purchased out of state? What the FOIA also wasn’t able to provide is info on where that truck was headed. 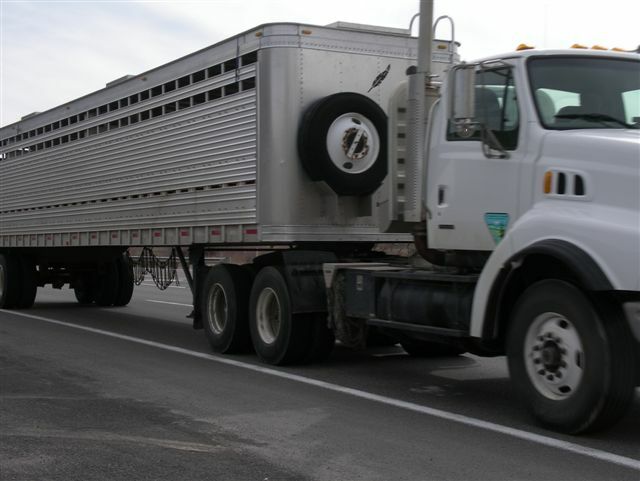 It informed us that the BLM isn’t required to keep logs of the drivers and destinations because the license numbers were registered to stock trailers only. So this led me to wonder, when BLM hired the Cattoors to remove the Pilot Valley horses last June from the “old” Toano Herd Area and then transferred them to NDoA, who in turn dumped them at an auction house where Jill Starr of Lifesavers Rescue spent a fortune saving them from killer buyers, whose trucks were used to transport the “non-wild” horses from the pens to the auction; BLMs or Cattoors? I guess it doesn’t really matter though because either way, the BLM has freely admitted they were responsible for their removals while admittedly working in “close coordination” with NDoA during the whole operation. So this in turn raised a few questions for me as well and here’s why. Turns out, there was this girl who lived in Pilot Valley back in 2007/2008 named Crystal. She fell in love with all those “non-wild” horses there and discovered yet another big, festering mess that ultimately revealed BLM was planning on removing them in 2010. This upset her so much, she started a campaign and a blog to try and stop BLM from wiping out the bands. You can check out her blog HERE that chronicles her story. Well Bob, I wanted to make sure I drew your attention to the last blog post Crystal made. It's titled, "Whose Jurisdication Are The Horses Under"? According to Crystal, it appears that BLM first denied they were under their jurisdication while NDoA insisted they were BLM horses after all. After some "close coordination" due to Crystal's questioning, it seems a solution was found; BLM claimed them as "feral or estray" and NDoA backed BLM up by verifying they weren't really wild horses -despite no proof of private ownership or claims - and this would allow them to be sold at a commercial livestock auction. And guess what Bob? You know what else Crystal did when she was trying to get to the bottom of that Toana/Pilot Valley mess? She actually went out and took lots of photos of the Pilot horses too. She even went so far as to make a video filled with a whole bunch of photos she labeled as the Pilot Valley bands. Apparently, she was a little upset because the BLM was telling her that they were going to remove them because they were starving and so she posted all these great photos of fat, shiny horses on the range to prove this just wasn’t true! So, I’ve taken the liberty of embedding Crystal’s video here so that you can get a really good look at the “non-wild horses” she included in her video back in 2008. Pay particular attention to all the wonderful colors some of these “non-wild horses” have as she asks if they look they are starving. Now, here’s a video of the Pilot Valley horses that showed up at the Fallon Livestock Auction last June. These are the same horses that BLM/Cattoor were responsible for removing from the Pilot Valley area that Crystal had been photographing two years before. Notice anything different about these horses? Not only is anything with color gone but anything that might have resembled a distinctive wild horse on the range disappeared by the time they hit the feedlot. Now I’ve pondered this quite a bit Bob, as I’m sure you can imagine, trying to figure out; why did so many of the horses in Crystal's video fail to show up at the Fallen livestock auction? Could it be that BLM missed them during the round up and they are still out on the range? Except, the BLM’s Herd Area statistics for 2009 reported 168 horses in the Toano Herd Area and 172 showed up at the Fallen Livestock Auction; the numbers are so damn close, it can’t really account for how the horses of color or resembling “wild” horses disappeared. I have to admit, I haven’t been able to figure this one out yet so maybe you could help me Bob. How would you explain the difference that Crystal attributes to Pilot Valley back in 2008 and those that showed up at the livestock auction a little less than two years later? And this in turn brings me to another subject I have been pondering that perhaps you could answer. 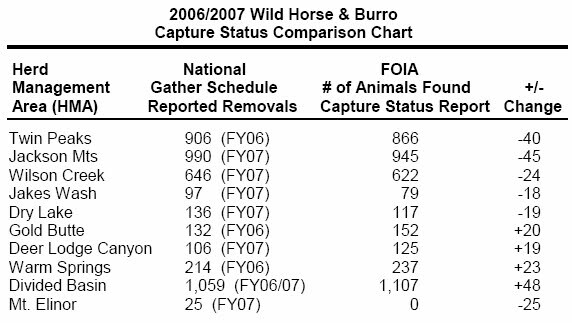 It’s about some of the questions raised when a FOIA by the Conquistador Program produced a document now called the 2008 Team Conference Calls, which revealed candid discussions between BLM personnel while they were discussing ways to kill wild horses. Here are some of my most immediate questions in relation to the BLM and slaughtering wild horses that maybe you would graciously address. ***What was the BLM’s Wild Horse & Burro Chief’s response to this email exposed in the 2008 Team Conference Call Report, which stated: “Sally had an e-mail from a person in Canada who wants 10,000 horses that he would slaughter the horses and send them to a third world country. Don is going to send the e-mail”. ***Why did the BLM guy from Oregon, Jim Johnson say, “Jim said he has a demand for horses going to Denmark, but they are having a problem getting titled horses”? Why would a BLM employee have knowledge of and personally reference that HE has a demand for horses to ship to Denmark for slaughter? ***What did the Team mean when they said, “Having horses rendered would need to be done instead of selling horses to slaughter”? But maybe you’ll address my concerns at Sue’s Slaughter Summit, eh? And then all I’ll have to do is cough up hundreds of dollars to hear your answer that will then be used to promote slaughtering the very animals you were put in charge of protecting against this sort of thing. Then there’s this other thing that has really been bothering me too. Now granted, I really haven’t had much time to go through every HMA available because the BLM is so busy issuing new proposals to remove/zero out wild horses and burros that I can barely catch my breath, but me and a friend were able to go over of some of them and this is what we found so far. Notice how the numbers don’t match? In fact, most of them look like they would just about fill a load for a horse trailer. You know, the one’s the BLM doesn’t have to keep logs of. But Bob, I’m sure you are not too worried because after all, all you have to say is, “The BLM doesn’t sell wild horses to slaughter” and that seems to be all the “proof” that is required by the BLM, unlike the general public who are held to a completely different standard of credibility. 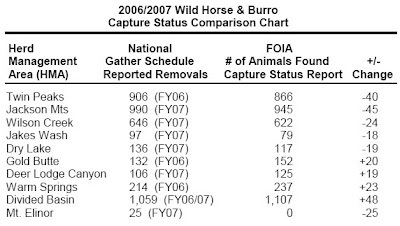 ***Why wild horses the BLM reported as being removed from the range failed to make their way into the Capture Status Records. ***Or better yet, why animals BLM failed to report they had removed ended up in holding facilities after all. But of course, that will just lead to more questions, wouldn’t it? Questions whose answers BLM will continue to try and deflect with public affairs specialists while hiding behind an iron curtain of a Program now run more like a classified military operation than a natural resource issue. And one last question Bob, since I have you on the line. Will you and Ms. Wallis be pleased when Salazar's "new direction" privatizes the Program and partners with organizations such as hers and neither of you will have to answer to the public anymore? 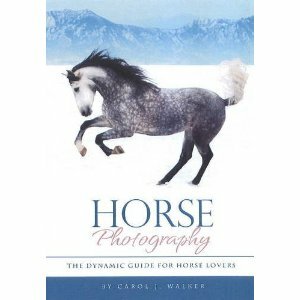 Carol Walker of Living Images and the author of the multi-award winning “Wild Hoofbeats: America’s Vanishing Wild Horses” recently handed me her newest book, “Horse Photography: The Dynamic Guide for Horse Lovers” and asked me what I thought. Well, to be honest, the only real talent I’ve discovered I have with respect to photography is an uncanny knack of taking great shots of my thumb! So, as you might imagine, a world-class photographer like Carol asking me for MY feedback about her new book came as a bit of a shock. So as always, the first thing that reaches out and riveted me was Carol’s unbelievably gorgeous photos. Stunning show horses, overflowing manes and tales, glistening coats, big, beautiful eyes, arching necks, gaits, stances, running, rearing, domestic horses, wild horses, you name it, she made sure to cover it all. But unlike your average coffee table book, which may or may not capture the magnificence and spirit Carol’s horse photography is renown for, there’s actually a purpose behind these photos and suddenly, I realized why I WAS the perfect person to get feedback from about this book – but I’ll get back to that shortly as well. The second thing that stirred me, once I could take my eyes off the photos, was the way she introduced the book. It was immediately apparent that she just absolutely loved horses, all horses, any kind of horse and this love had grown out of a working knowledge and understanding of these unique and special beings who are so inspirational to so many. To simplify it even further, it was her explanation of how photography is a tool to express: The Relationship Between…. Anyone who has developed a relationship with an animal knows exactly what she is saying here. As you spend time together, you learn about all their little quirks (and they, yours! ), their likes and dislikes, crazy antics and definitive character. They make you laugh, uplift your heart, cause you to melt like butter when they strike that certain pose that is uniquely them and yes, even teach you a lot about yourself and the world around you. Let me also add as testimony to the power of the horse, those who have chosen equine companions and spent the time to develop a loving relationship with them are some of the most profoundly affected people I know! Simply put, that is the purpose behind Carol’s book; to show and share her relationship with equines and by extension, to help all of us formally condemned to a world of thumb shots to grasp the art and basic techniques for immortalizing the best of our companions and our relationships with them. “Horse Photography: The Dynamic Guide for Lovers” is amazingly simple, helpful, easy to understand, not overly technical and covered a wide range of topics. Through comparison photos, she shows what to do and what not to do, what to look for and how to adapt to situations such as unflattering environments, proper angles, lighting, backgrounds, horse color, how to bring out the best and what to avoid to prevent highlighting the worst. Which leads me to how things got worse from my thumb blocked world. I have to confess, twice I found myself looking at photos and thinking, “Wow, what a cool shot. I really like the way it…..” only to discover, it was a photo of what NOT to do! Oops! After the initial embarrassment was over, I couldn’t help but think, “That was really clever.” Why? Because she included photos of what might qualify to the untrained eye as a “good photo”. Then she clearly and simply explains why it failed to bring out the best of the subject and suddenly, I could see! Imagine that! That’s why I was the perfect person to have review this book and must say, it’s a great book. Not just because of the non-stop pages of vividly dynamic breath taking horse photos, but because it opened up a world of possibilities and offered easy to grasp tools that anybody can immediately use. Truly, this is a gift given from Carol to us; a gift of a lifetime of expertise, experience and knowledge generously shared and simply given to those who love horses. For those who just might find themselves wanting to learn how to capture their companions and inspirations through photographs that hone in on what the heart sees, I would highly recommend “Horse Photography: The Dynamic Guide for Horse Lovers”, as you just can’t help but come away feeling inspired and confident that the world of framing “all things equine” is now within reach. 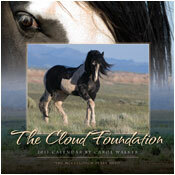 For those who might be interested, there’s also a variety of outstanding special packages now being offered on her previous multi-award winning book, "Wild Hoofbeats: America's Vanishing Wild Horses" that include The Cloud Foundation’s new 2011 Wild Hoofbeats Calendar showcasing the McCullough Peak wild horses as well as Screensavers, DVDs, Slideshows and lots of other cool wild horse stuff.